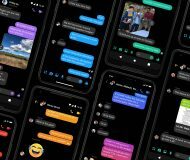 A much-improved Notes application is one of my favorite features of iOS and macOS. 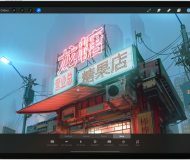 With it, you can now draw sketches with your finger, enrich your thoughts with photos, maps and web links—and even create a checklist of to-dos. Checklists work perfectly for stuff like grocery lists, wish lists, quick to-dos and what not, and they’re interactive so you can tick off individual items to mark them as completed. 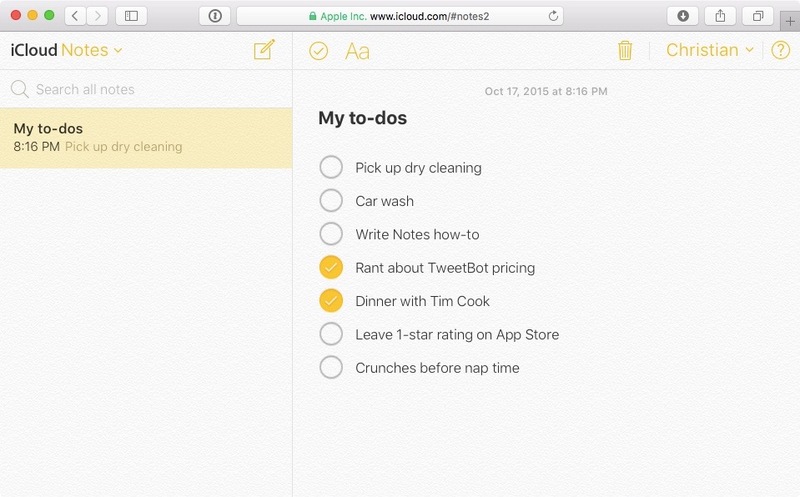 And with iCloud, changes to your notes are automatically pushed to all your devices. Step 1: Open Notes on your iPhone, iPod touch or iPad. Step 2: Tap the pencil and pad icon at the lower right of the screen to start a new note. 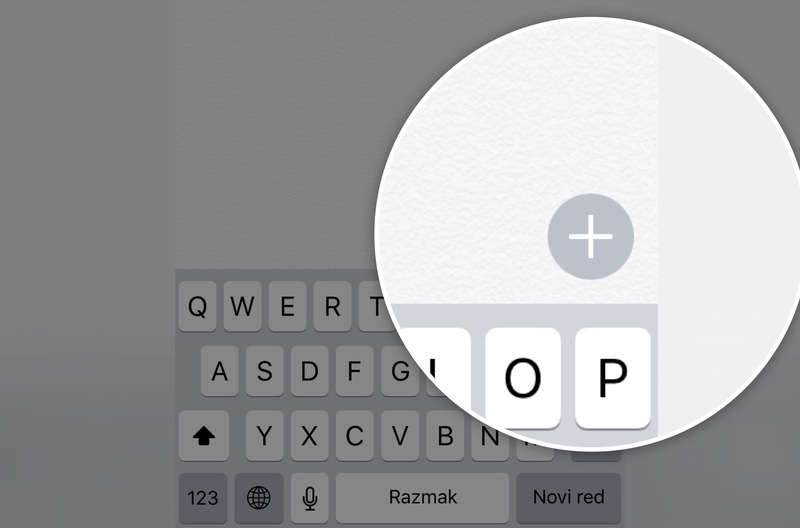 Step 3: Next, tap a gray circle with the plus sign just above the keyboard to reveal a toolbar providing quick access to the Notes features. Step 4: Now tap the Checklist icon in the toolbar. Step 5: An empty circle will appear in your note, letting you type your first to-do. Pressing Enter positions the cursor in a new line so you can create another to-do. 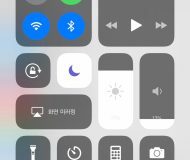 Tip: You can also highlight multiple lines of text and then tap the Checklist button to turn them into tappable to-dos, all at once. 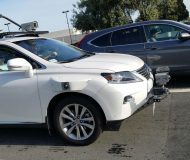 To insert a new item into an existing checklist, position the cursor at the end of a line and hit Enter on the keyboard. Step 6: Tap Done to finish creating the checklist. 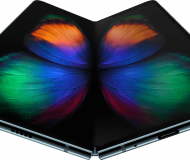 Step 1: Launch Notes on your Mac. Step 2: Click the pencil and pad icon in the toolbar at the top to start a new note, or hit Command (⌘) – N.
Step 3: Click the Checklist icon in the toolbar, as depicted on the screenshot below. Alternatively, hit the Shift (⇧) – Command (⌘) – L keyboard combination or choose Checklist from Notes’ Format menu. 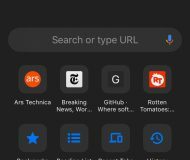 Step 4: The cursor will be positioned next to an empty circle in your new note so you can start typing away your to-do items immediately, separating each entry with Enter. 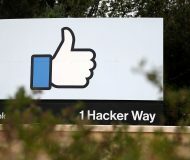 You can also view your checklists and other notes in Microsoft Outlook on your Windows computer set up for iCloud Notes using Apple’s free iCloud for Windows client. 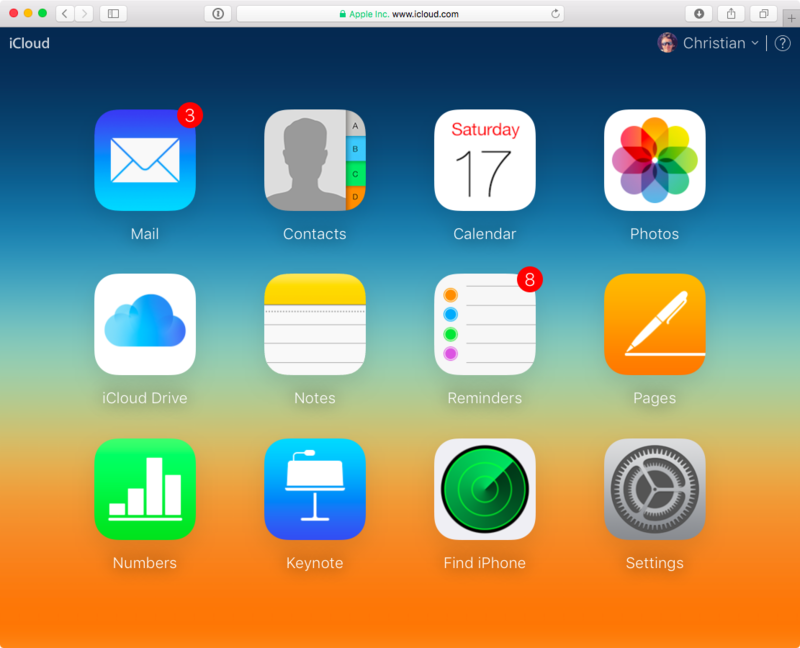 Step 1: To use iCloud Notes on the web, go to icloud.com/notes on your computer and sign in using your Apple ID. Step 2: Click the pencil and pad icon in the toolbar to create a new note. Step 3: Now click the Checklist button next to the Format button in the toolbar to create your first to-do item. Type as many to-dos as you like, hitting Enter after each. 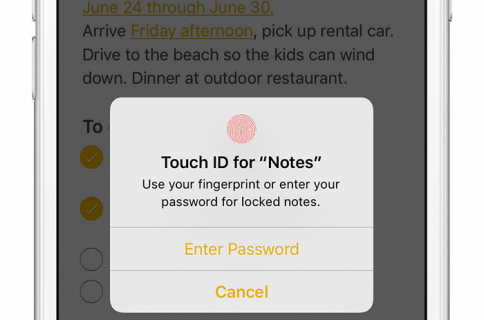 Any changes you make to your notes on iCloud.com will be pushed to your devices that use iOS 10 or macOS and are set up for iCloud Notes, and vice versa. 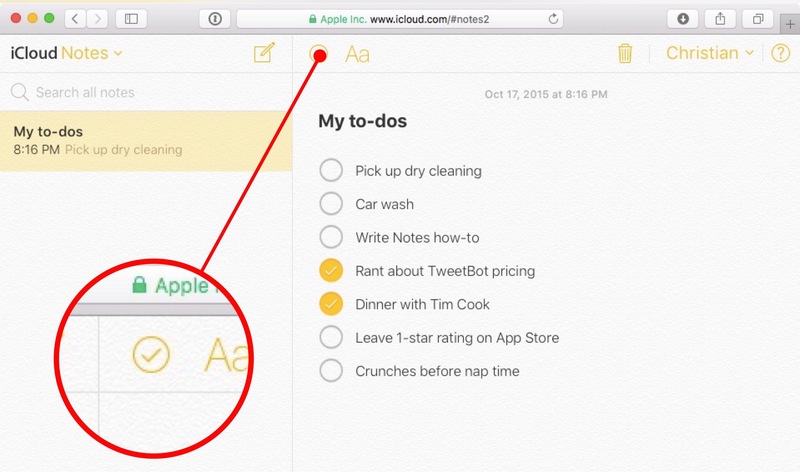 Keep in mind that using the Notes app on iCloud.com will only show notes you added or changed on iCloud.com or on your devices that have iOS 10 or macOS and are set up for iCloud Notes. On a final note (pun intended), you don’t need to create checklists from scratch. To bring an existing formatted list from another app to Notes, first copy the text of that list into the clipboard. 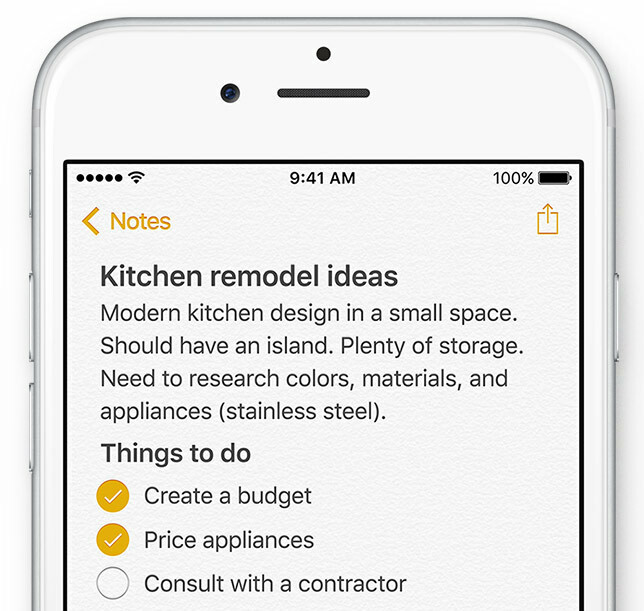 Paste the text into Notes, then highlight it and finally tap the Checklist button. This will instantly create a multi-item interactive checklist. Of course, you can paste existing lists from emails, text messages and so forth. Formatted checklists in Notes can be shared with friends and family. 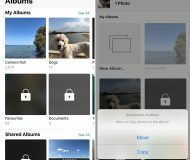 Open Notes, select a note and then tap iOS’s multi-purpose Share button to send it via email, Messages or through third-party apps with a Share extension. One thing to remember: interactive Notes checklists will be shared as non-interactive bulleted lists. 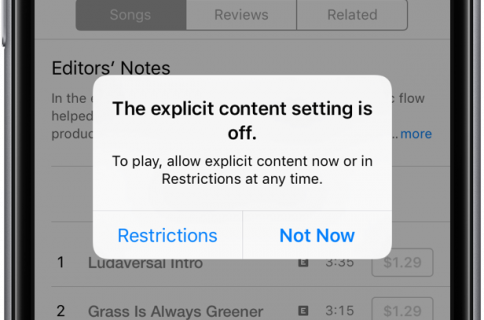 That means you cannot, for instance, share the shopping list from Notes with your girlfriend and have both of you add and tick off items as you go. For that, you’re advised to use Apple’s Reminders app. 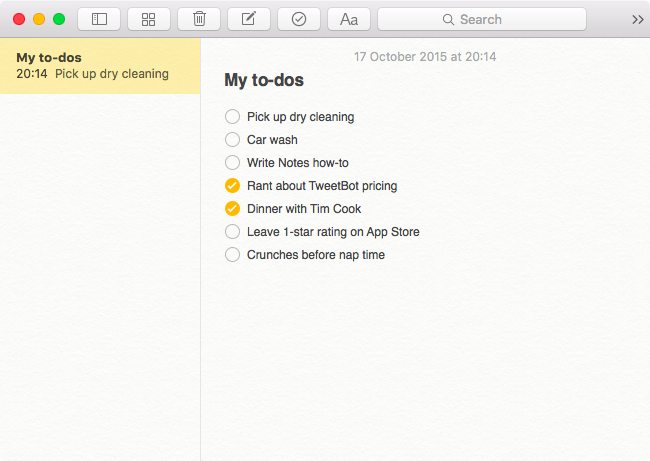 You’ve now mastered the art of interactive checklists in Notes. 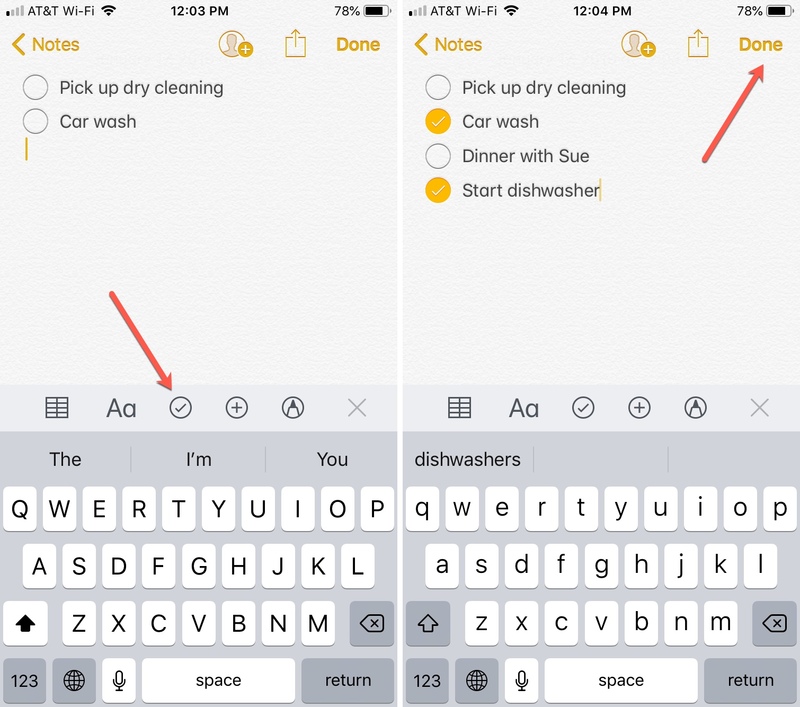 The ability to check off items as you go, coupled with seamless syncing across iOS, OS X and the web, makes interactive checklists in Notes a viable (though rather basic) alternative to the Reminders app.